Alexia Matos-Mateo has earned a bachelor of science degree in criminal justice, attaining a 3.61 GPA while serving as a member of the Army Reserve Officers’ Training Corps (ROTC). 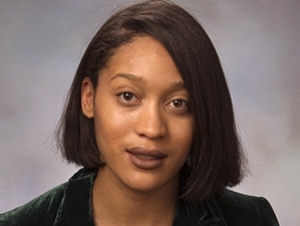 She will receive the SUNY Chancellor’s Award for Student Excellence at Buffalo State’s 145th Commencement morning ceremony, Saturday, May 13, at 9:00 a.m. in the Sports Arena. Matos-Mateo has excelled at every opportunity and has worked hard to represent Buffalo State in the best way possible. Her responsibilities on campus have required a sensitivity to the feelings, attitudes, and concerns of fellow students. She has worked tirelessly to follow her dreams, and her achievements speak to her character and work ethic. She is a smart, articulate, mature student who enjoys the process of learning. In the classroom, her acute understanding and passion for criminal justice is impressive. Her willingness to discuss and analyze challenging concepts elevated the classroom experience for everyone. She was inducted into the Alpha Kappa Delta international honor society in sociology and the Alpha Phi Sigma criminal justice honor society and recognized in Who’s Who in American Universities and Colleges, while double minoring in African and African American studies and deviance. She also studied abroad in Santiago, Chile, and Borgne, Haiti, and was selected to co-coordinate a symposium with the Department of Justice. On campus, Matos-Mateo has demonstrated leadership as an Educational Opportunity Program (EOP) resident director as well a resident assistant responsible for programming, marketing, and conflict resolution. She received the EOP Director’s Award as well as the First-Year Mentor of the Year Award from the Residence Life Office. She completed the Student Life Office’s Legacy Leaders Program and Emerging Student Leaders Program and earned a certificate of achievement in student leadership from the State University of New York Office of Diversity, Equity, and Inclusion. An Orientation leader and EOP mentor, she has also served as an American Red Cross blood ambassador on campus. 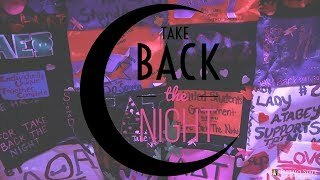 She assisted with the Anne Frank Project and Weigel Health Center’s “Take Back the Night” event. Outside of campus, she volunteered with the 9/11 Healing Field memorial event in North Tonawanda and at the Blessed Trinity Roman Catholic Church food pantry. Her acts of kindness are not random but regular, and she has earned respect campuswide for her generous work.